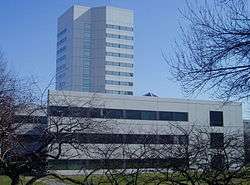 Johnson & Johnson is headquartered in New Brunswick, New Jersey, directly adjacent to the campus of Rutgers University, the consumer division being located in Skillman, New Jersey. The corporation includes some 250 subsidiary companies with operations in 60 countries and products sold in over 175 countries. Johnson & Johnson had worldwide sales of $70.1 billion during calendar year 2015. McNeil Consumer Healthcare was founded on March 16, 1879 by 23-year-old Robert McNeil. In 1904, one of McNeil's sons, Robert Lincoln McNeil, became part of the company and together they created McNeil Laboratories in 1933. The company focused on direct marketing of prescription drugs to hospitals, pharmacists, and doctors. Development of acetaminophen began under the leadership of Robert L. McNeil, Jr., who later served as the firm's chairman. In 1959, Johnson & Johnson acquired McNeil Laboratories and a year later the company was able to sell Tylenol for the first time ever, without a prescription. In 1977, two subsidiary companies were created; McNeil medicals products and McNeil Consumer Products Company (also known as McNeil Consumer Healthcare). The focus of McNeil medicals products is to market prescription drugs. In 1993 McNeil medicals products merged with the Ortho Pharmaceutical to form Ortho-McNeil Pharmaceutical. In 2001 McNeil Consumer Healthcare changed its name to McNeil Consumer & Specialty medicals products. However, it was later changed to "McNeil Consumer Healthcare". The company markets over-the-counter and prescription medicals products including complete lines of Tylenol and Motrin IB (ibuprofen) products for adults and children. In 1933, Swiss chemist Bernhard Joos set up a small research laboratory in Schaffhausen, Switzerland. This set the basis for the founding of Chemische Industrie-Labor AG (Chemical Industry Laboratory AG or Cilag) on 12 May 1936. In 1959, Cilag joined the Johnson & Johnson family of companies. In the early nineties the marketing organizations of Cilag and Janssen Pharmaceutica were joined to form Janssen-Cilag. The non-marketing activities of both companies still operate under their original name. Cilag continues to have operations under the Cilag name in Switzerland, ranging from research and development through manufacturing and international services. In August 2014 Cilag acquired Covagen a biopharmaceutical company which specialises in the development of multi-specific protein based therapeutics. As part of the acquisition Cilag wll gain access to Covagen’s lead drug candidate, COVA 322, a bi-specific anti-tumor necrosis factor (TNF)-alpha/anti-interleukin (IL)-17A FynomAb, is in a Phase Ib study for psoriasis. Janssen Pharmaceuticals can be traced back to 1933. In 1933 Constant Janssen, the father of Paul Janssen, acquired the right to distribute the pharmaceutical products of Richter, a Hungarian pharmaceutical company, for Belgium, the Netherlands and Belgian Congo. On 23 October 1934, he founded the N.V. Produkten Richter in Turnhout. After the Second World War, the name for the company products was changed to Eupharma, although the company name Richter would remain until 1956. Paul Janssen founded his own research laboratory in 1953 on the third floor of the building in the Statiestraat, still within the Richter-Eurpharma company of his father. On 5 April 1956, the name of the company was changed to NV Laboratoria Pharmaceutica C. Janssen (named after Constant Janssen). On 2 May 1958, the research department in Beerse became a separate legal entity, the N.V. Research Laboratorium C. Janssen. On 24 October 1961, the company was acquired by the American corporation Johnson & Johnson. On 10 February 1964, the name was changed to Janssen Pharmaceutica N.V. Between 1990 and 2004, Janssen Pharmaceuticals expanded worldwide, with the company grew in size to approximately 28000 employees worldwide. In 1999, clinical research and non-clinical development become a global organization within Johnson & Johnson. In 2001, part of the research activities was transferred to the United States with the reorganization of research activities in the Johnson & Johnson Pharmaceutical Research and Development organization. The research activities of the Janssen Research Foundation and the R.W. Johnson Pharmaceutical Research Institute were merged into the new global research organization. On 27 October 2004, the Paul Janssen Research Center, for discovery research, was inaugurated. In August 2013, the company acquired Aragon Pharmaceuticals, Inc.. In November 2014, the company acquired Alios BioPharma, Inc. for $1.75 billion. As a result of the purchase, Alios was incorporated into the infectious diseases therapeutic area of the Janssen Pharmaceutical Companies of Johnson & Johnson. In March 2015, Janssen licensed Tipofarnib (a farnesyl transferase inhibitor) to Kura Oncology who will assume sole responsibility for developing and commercialising the anti-cancer drug. Later in the same month the company announced that Galapagos Pharma and regained the rights to the anti-inflammatory drug candidate GLPG1690 as well as two other compounds including GLPG1205 (a first-in-class inhibitor of GPR84). Finally, in March, the company acquired XO1 Limited  In November 2015, the company acquired Novira Therapeutics, Inc., gaining the lead candidate, NVR 3-778. DePuy was acquired by J&J in 1998, rolling it into the Johnson & Johnson Medical Devices group. On June 14, 2012, Johnson and Johnson completed the acquisition of Synthes for $19.7 billion, which was then integrated with the DePuy franchise to establish the DePuy Synthes Companies of Johnson & Johnson which includes; Codman & Shurteff, Inc., DePuy Mitek, Inc., DePuy Orthopaedics, Inc. and DePuy Spine, Inc.
Janssen Biotech, Inc., formerly known as Centocor Biotech, Inc., is a biotechnology company that was founded in Philadelphia in 1979. In 1982 Centocor transitioned into a publicly traded company. In 1999, Centocor became a wholly owned subsidiary of Johnson & Johnson. Since the acquisition, Janssen Biotech increased its annual sales from $500 million to more than $2 billion. During the same period, research and development investment increased from $75 million to more than $300 million. In 2008, Centocor, Inc. and Ortho Biotech Inc. merged to form Centocor Ortho Biotech Inc. In June 2010 Centocor Ortho Biotech acquired RespiVert, a privately held drug discovery company focused on developing small-molecule, inhaled therapies for the treatment of pulmonary diseases. In June 2011 Centocor Ortho Biotech changed its name to Janssen Biotech, Inc. as part of a global effort to unite the Janssen Pharmaceutical Companies around the world under a common identity. In December 2014, the company announced it would co-develop MacroGenics cancer drug candidate (MGD011) which targets both CD19 and CD3 proteins in treating B-cell malignant tumours. This could net MacroGenics up to $700 million. In January 2015, the company announced it will utilise Isis Pharmaceuticals' RNA-targeting technology to discover and develop antisense drugs targeting autoimmune disorders of the gastrointestinal tract, with the partnership potentially generating up to $835 million for Isis. In 1915, George F. Merson opened a facility in Edinburgh for the manufacturing, packaging and sterilising of catgut, silk and nylon sutures. Johnson & Johnson acquired Mr. Merson’s company in 1947, and this was renamed Ethicon Suture Laboratories. In 1953 this became Ethicon Inc. In 1992, Ethicon was restructured, and Ethicon Endo-Surgery, Inc. became a separate corporate entity. During the 1990s, Ethicon diversified into new and advanced products and technologies and formed four different companies under the Ethicon umbrella, each of which specialize in different products. In 2008 J&J announced it would acquire Mentor Corporation for $1 billion and merge its operations into Ethicon. In March 2016, J&Js Ethicon business unit announced it would acquire NeuWave Medical, Inc.
Ethicon Endo-Surgery was part of Ethicon Inc. until 1992, when it became a separate corporate entity under the J&J umbrella. In October 2010 J&J acquired Crucell for $2.4 billion. J&J headquarters in Madrid, Spain. On top of Alex Gorsky and Sandi Peterson, current members of Executive Committees of Johnson & Johnson are: Dominic Caruso, Peter Fasolo, Paul Stoffels, and Michael Sneed. While New Brunswick lost at least one historic edifice (the inn where Rutgers University began) to the redevelopment, the gentrification did attract people back to New Brunswick. Johnson & Johnson hired Henry N. Cobb from Pei Cobb Freed & Partners to design an addition to its headquarters. The white tower in a park across the railroad tracks from the older portion of the headquarters in one of tallest buildings in New Brunswick. The company's business is divided into three major segments, Pharmaceuticals, Medical Devices, and Consumer Products. In 2015, these segments contributed 44.9%, 35.9%, and 19.3%, respectively, of the company's total revenues. Oncology products include Velcade (bortezomib), for the treatment of multiple myeloma and mantle cell lymphoma and Zytiga (abiraterone), an androgen antagonist for the treatment of prostate cancer. In clinical trials, abiraterone treatment was associated with a 4.6 to 5.2 survival advantage when used either before or after chemotherapy with platinum based drugs. On December 31, 2012, the Food and Drug Administration approved Sirturo (bedaquiline), a Johnson & Johnson tuberculosis drug that is the first new medicine to fight the infection in more than forty years. On August 2009, 2010, DePuy, a subsidiary of American giant Johnson & Johnson, recalled its ASR (articular surface replacement) hip prostheses from the market. DePuy said the recall was due to unpublished National Joint Registry data showing a 12% revision rate for resurfacing at five years and an ASR XL revision rate of 13%. All hip prostheses fail in some patients, but it is expected that the rate will be about 1% a year. Pathologically, the failing prosthesis had several effects. Metal debris from wear of the implant led to a reaction that destroyed the soft tissues surrounding the joint, leaving some patients with long term disability. Ions of cobalt and chromium—the metals from which the implant was made—were also released into the blood and cerebral spinal fluid in some patients. In 2010, the United States Department of Justice joined a whistleblowers suit accusing the company of illegally marketing Risperdal through Omnicare, the largest company supplying pharmaceuticals to nursing homes. The allegations include that J&J were warned by the U.S. Food and Drug Administration (FDA) not to promote Risperdal as effective and safe for elderly patients, but they did so, and that they paid Omnicare to promote the drug to care home physicians. The settlement was finalized on November 4, 2013, with J&J agreeing to pay a penalty of around $2.2 billion, "including criminal fines and forfeiture totaling $485 million and civil settlements with the federal government and states totaling $1.72 billion." In 2011 J&J settled litigation brought by the US Securities and Exchange Commission under the Foreign Corrupt Practices Act; J&J paid around $70M in disgorgement and fines. J&J's employees had given kickbacks and bribes to doctors in Greece, Poland, Romania to obtain business selling drugs and medical devices, and had bribed officials in Iraq to win contracts under the Oil for Food program. J&J fully cooperated with the investigation once the problems came to light. Johnson & Johnson registered the Red Cross as a U.S. trademark for "medicinal and surgical plasters" in 1905 and has used the design since 1887. The Geneva Conventions, which reserved the Red Cross emblem for specific uses, were first approved in 1864 and ratified by the United States in 1882; however, the emblem was not protected by U.S. law for the use of the American Red Cross and the U.S. military until after Johnson & Johnson had obtained its trademark. A clause in this law (now 18 U.S.C. 706) permits this pre-existing uses of the Red Cross to continue. A declaration made by the U.S. upon its ratification of the 1949 Geneva Conventions includes a reservation that pre-1905 U.S. domestic uses of the Red Cross, such as Johnson & Johnson's, would remain lawful as long as the cross is not used on "aircraft, vessels, vehicles, buildings or other structures, or upon the ground," i.e. uses which could be confused with its military uses. This means that the U.S. did not agree to any interpretation of the 1949 Geneva Conventions that would overrule Johnson & Johnson's trademark. The American Red Cross continues to recognize the validity of Johnson & Johnson's trademark. In 2007, Johnson & Johnson sued Abbott Laboratories over the development and sale of the arthritis drug Humira. Johnson & Johnson claimed that Abbott used technology patented by New York University and licensed exclusively to Johnson & Johnson's Centocor division to develop Humira. Johnson & Johnson won the court case, and in 2009 Abbott was ordered to pay Johnson & Johnson $1.17 billion in lost revenues and $504 million in royalties. The judge also added $175.6 million in interest to bring the total to $1.84 billion. This was the largest patent-infringement award in U.S. history until the 2013 decision against Teva in favor of Takeda and Pfizer for over 2.1 billion dollars. Abbott has since successfully reversed the verdict at appeal. In February 2016, J&J was ordered to pay $72 million in damages to the family of Jackie Fox, a 62-year-old woman who died of ovarian cancer in 2015. She had used Johnson's Baby Powder for many years. J&J claimed that the safety of cosmetic talc is supported by decades of scientific evidence and it plans to appeal the verdict. The British charity, Ovacome was quoted as saying that while there were 16 studies which showed that using talc increased the risk of ovarian cancer by around a third, and a 2013 review of US studies had similar results for genital, but not general, talcum powder use they were not convinced that the results were reliable. Furthermore, Ovacome said, "Ovarian cancer is a rare disease, and increasing a small risk by a third still gives a small risk." Bebe (German market moisturisers and cosmetic products available in all German speaking countries). 1 2 3 4 5 6 "Johnson & Johnson 2015 Annual Report Form (10-K)" (XBRL). United States Securities and Exchange Commission. February 5, 2016. ↑ anonymous. "VisionCare Corporate - Our History". jnjvc.com. ↑ "Johnson & Johnson 2015 Annual Report  Johnson & Johnson" (PDF). www.jnj.com. February 24, 2016. Retrieved September 28, 2016. ↑ "J&J Company Structure - Johnson & Johnson". ↑ "Pharmaceutical Companies - Johnson & Johnson". ↑ Horner, Shirley (February 15, 1987). "About Books". The New York Times. Retrieved May 7, 2010. ↑ Conniff, Richard. The Natural History of the Rich: A Field Guide. 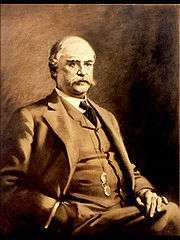 W. W. Norton. p. 126. ↑ "Crazier then You and Me". New York Magazine. February 23, 1987: 129. ↑ "Janssen Affiliate Cilag Acquires Covagen". GEN.
↑ Lopez-Munoz, Francisco; Alamo, Cecilio (2009). "The Consolidation of Neuroleptic Therapy: Janssen, the Discovery of Haloperidol and Its Introduction into Clinical Practice". Brain Research Bulletin. 79: 130–141. doi:10.1016/j.brainresbull.2009.01.005. PMID 19186209. ↑ "Johnson & Johnson Announces Completion Of Alios Biopharma Acquisition". Janssen. ↑ "GEN - News Highlights:Kura Oncology Licenses Janssen's Tipofarnib in Cancer". GEN.
↑ "GEN - News Highlights:Galapagos Regains Rights to GLPG1690 from Janssen". GEN.
↑ "Janssen Acquires XO1 Limited". Janssen. ↑ "Johnson & Johnson Announces Agreement To Acquire Novira Therapeutics, Inc.". Janssen. ↑ "Johnson & Johnson Announces Completion of Synthes Acquisition". ↑ "Janssen Joins MacroGenics in Up-to-$700M Cancer Collaboration". GEN.
↑ "Janssen, Isis Pharma Ink Up-to-$835M Antisense Agreement". GEN.
↑ "Johnson & Johnson Announces Definitive Agreement to Acquire Mentor Corporation". ↑ "Ethicon Announces Agreement To Acquire NeuWave Medical, Inc.". FierceMedicalDevices. ↑ Eva von Schaper; Ellen Gibson (6 October 2010). "J&J, Crucell Reach Agreement on $2.4 Billion Takeover". Bloomberg.com. ↑ "Board of Directors". jnj.com. ↑ Old Raritan Canal Lock Is Focus of a Classic Dispute, The New York Times, April 16, 1977. ↑ "JOHNSON & JOHNSON ASIA-PACIFIC INFORMATION TECHNOLOGY HEADQUARTERS". March 14, 2002. Retrieved July 15, 2013. ↑ Ruela Corrêa JC, D'Arcy DM, dos Reis Serra CH, Nunes Salgado HR (2012). "Darunavir: a critical review of its properties, use and drug interactions". Pharmacology. 90 (1-2): 102–9. doi:10.1159/000339862. PMID 22797653. ↑ "Wikipedia template filling". Tools.wmflabs.org. Retrieved 2014-05-29. ↑ Kaplan G, Casoy J, Zummo J (2013). "Impact of long-acting injectable antipsychotics on medication adherence and clinical, functional, and economic outcomes of schizophrenia". Patient Prefer Adherence. 7: 1171–80. doi:10.2147/PPA.S53795. PMC 3833623 . PMID 24265549. ↑ Kane JM, Kishimoto T, Correll CU (August 2013). "Assessing the comparative effectiveness of long-acting injectable vs. oral antipsychotic medications in the prevention of relapse provides a case study in comparative effectiveness research in psychiatry". J Clin Epidemiol. 66 (8 Suppl): S37–41. doi:10.1016/j.jclinepi.2013.01.012. PMID 23849151. ↑ Fusar-Poli P, Kempton MJ, Rosenheck RA (March 2013). "Efficacy and safety of second-generation long-acting injections in schizophrenia: a meta-analysis of randomized-controlled trials". Int Clin Psychopharmacol. 28 (2): 57–66. doi:10.1097/YIC.0b013e32835b091f. PMID 23165366. ↑ "FDA Approves 1st New Tuberculosis Drug in 40 Years". ABC News. Retrieved December 31, 2012. ↑ "Healthcare products - Medical technologies". jnj.com. Retrieved 13 March 2015. ↑ "Healthcare products - consumer". jnj.com. Retrieved 13 March 2015. ↑ "Johnson & Johnson Official Site". Retrieved May 4, 2008. ↑ "Coop America". March 27, 2008. Retrieved May 4, 2008. ↑ "Department of Environmental Protection". Commonwealth of Pennsylvania. 1 2 Judith Rehak (March 23, 2002). "Tylenol made a hero of Johnson & Johnson : The recall that started them all". The New York Times. 1 2 3 "US firm recalls children's drugs". Aljazeera. May 1, 2010. Retrieved May 3, 2010. 1 2 3 4 Watts, Alex (May 2, 2010). "Warning As Baby Medicines Are Recalled". Sky News. Retrieved May 3, 2010. ↑ Deborah Cohen (May 14, 2011). "Out of joint: The story of the ASR". ↑ "FDA. Concerns about metal-on-metal hip implant systems. 2011". 2011. 1 2 Meier, Barry (March 8, 2013). "J.&J. Loses First Case Over Faulty Hip Implant". New York Times. Retrieved September 4, 2013. ↑ McNeil Consumer Healthcare Announces Voluntary Recall Of One Product Lot Of TYLENOL® Extra Strength Caplets 225 Count Distributed In The U.S.
↑ Gregory Wallace (November 4, 2013). "Johnson & Johnson to pay $2 billion for false marketing". CNN Money. Retrieved November 6, 2013. ↑ Hilzenrath, David S. (January 16, 2010). "Justice suit accuses Johnson & Johnson of paying kickbacks". The Washington Post. Retrieved January 17, 2010. ↑ Singer, Natasha (January 15, 2010). "Johnson & Johnson Accused of Drug Kickbacks". The New York Times. Retrieved January 17, 2010. ↑ Office of Public Affairs, Department of Justice (November 4, 2013). "Johnson & Johnson to Pay More Than $2.2 Billion to Resolve Criminal and Civil Investigations". United States Department of Justice. Retrieved 16 June 2015. ↑ "SEC Charges Johnson & Johnson With Foreign Bribery". SEC. April 7, 2011. ↑ "Trademark Status & Document Retrieval". uspto.gov. ↑ Stephanie Saul (June 18, 2008). "Claim Over Red Cross Symbol Is Settled". The New York Times. 1 2 "Johnson & Johnson hit with $72m damages in talc-cancer case". BBC News. 24 February 2016. Retrieved 24 February 2016. ↑ "Bebe Website". Johnson & Johnson GmbH. Retrieved February 15, 2014. 1 2 "New Meds Tampons Make You Feel Only a Little More Secure. But That's a Lot." (PDF). News Record. Cincinnati, Ohio: University of Cincinnati. April 22, 1968. p. 2, center-left. Retrieved November 25, 2011.